Besides tomb sweeping and sightseeing, Qingming Festival is also about spending time with loved ones and like many occasions in China, sharing delicious food. One such delicacy is the spring pancake, called "Chunbing" in Chinese. It's a traditional snack of the Han people, especially common in Fujian Province. And like it's name suggests, many people eat the delicacy in the spring time to welcome the lively season. Besides tomb sweeping and sightseeing, Qingming Festival is also about spending time with loved ones and like many occasions in China, sharing delicious food. 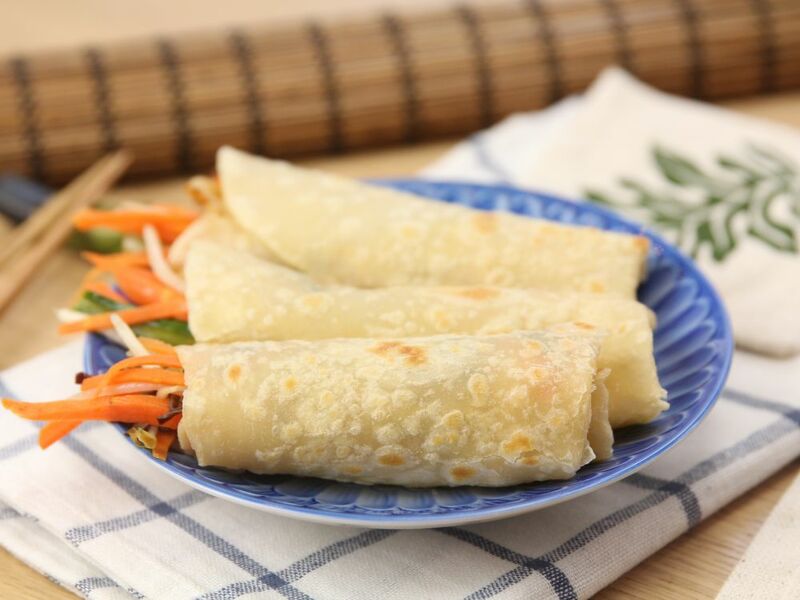 One such delicacy is the spring pancake, called "Chunbing" in Chinese. He Meizhen, who lives in the city of Xiamen in Fujian Province, is making "Chunbing" for her family. What are the required ingredients? Cabbage, garlic, carrot, lentils, oysters and pork. These make up the filling, which the pancake is wrapped around. "Pancake, we also call it 'Chunbing', is a kind of snack that we eat during the Qingming Festival. My mother would make 'Chunbing' for our family in the past, but we would usually not eat it because our family was very poor at the time," He said. Born on Xiamen's Gulangyu Island... She has lived there for 60 years. For most of the residents on the island, "Chunbing", is one mouthwatering snack stored deep in their memories.
" 'Chunbing' is a handmade snack, we have to slice these vegetables and meat very finely and cook them thoroughly. While every family nowadays has their own recipe to make 'Chunbing', what remains unchanged is our deep love of the snack," He said. After being chopped up finely, the ingredients are simmered for about an hour. What's interesting is that although "Chunbing" is such a common dish in the region -- every family has a different take on it. People create their recipes based on their own tastes. As a traditional folk snack, "Chunbing" is cooked as a treat for distinguished guests. But don't be surprised, it's goes by different names in different regions. While most people in south China know it as "Chunbing"... in northern China, it's called "Chun Juan".